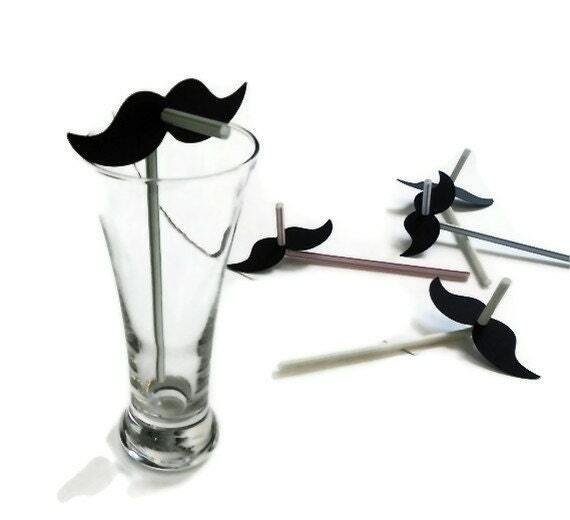 BabyBinkz Die Cut Paper Mustache Straws - Party Decorations or Photo Props! Take a sip, wear a stache! 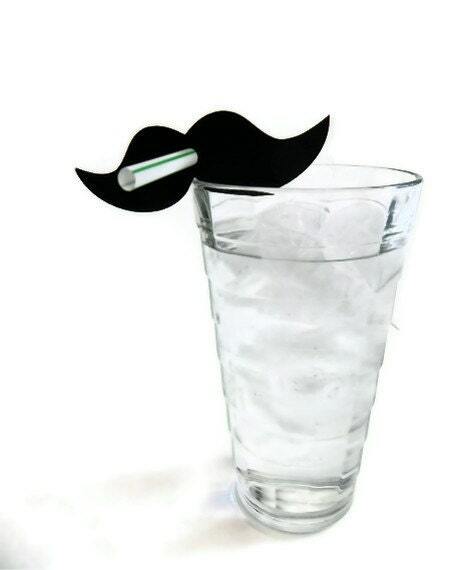 Let everyone at your next party get stached when they take a sip of their favorite drink! This listing is for 10 Mustaches Straws cut from 65lb weight card stock. They measure 4" long and have a punched hole the perfect size to slide onto the included straws. the perfect size for photo props! 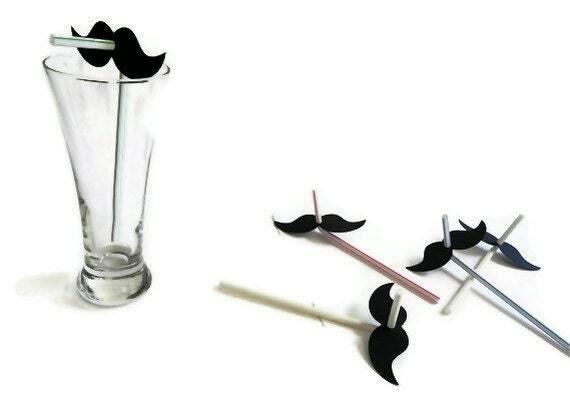 To assemble your Mustache Straws, simply slide the mustache onto the end of the straw (it is designed to fit perfectly & snugly). Put into your favorite drink & get stached! Need more than 10? You can order multiples directly off of the listing - or contact us for a custom listing!